Porosity refers to how much moisture your curls can retain. 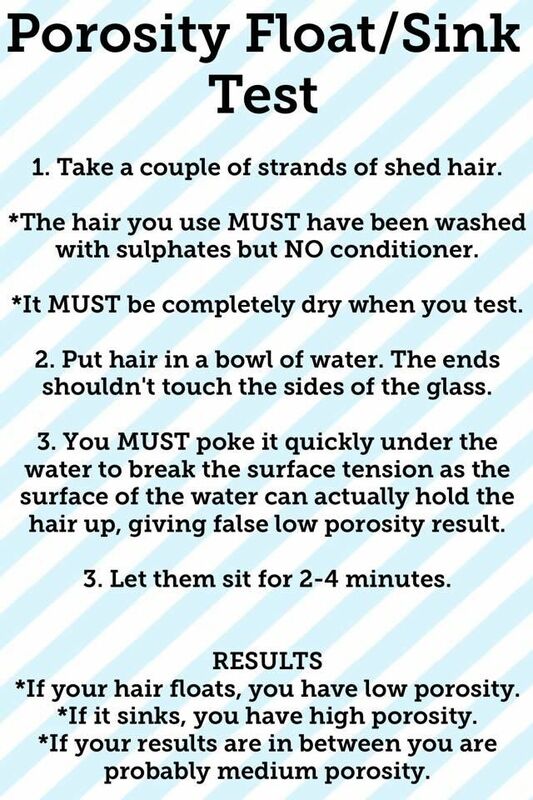 Here's a guide to the levels of porosity, as well as how to test the porosity of your curls. Low porosity curls do not allow moisture in or out easily. The cuticle layer is tightly bound, creating scales that overlap. This means your curls are going to be drier and prone to build up. This is the most desirable level of porosity. It allows the correct amount of moisture to move in and out of the curls. 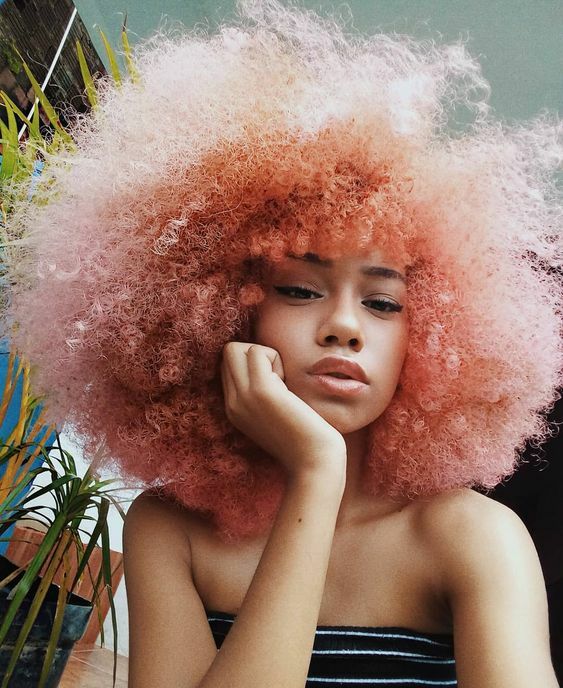 You'll find that medium porosity curls need the least amount of help. They hold a curl well, are easy to style, and need low amounts of maintenance. Curly girls find that highly porous curls are damaged by chemical treatments, heat, or styling. The cuticle either has gaps, or is unable to close adequately, making it easy for moisture to escape. Take 2-3 strands of shed, unbroken curls. The hair must be washed with a sulfate free shampoo, and should be unconditioned. It also needs to be completely dry prior to the test. Place the hair in a bowl of water. Don't allow the hair to touch the sides of the bowl. Quickly poke the hair, breaking the seal on the top of the water. This is to force the curl underneath the water. The tension on the top of the water can hold the hair up, giving a false porosity reading. Allow the curls to sit for 2-4 minutes underneath the water. If the curl floats, you have low porosity hair. For curls that sink to the bottom of the bowl, you have highly porous strands. if you find your curl strands hover somewhere in the middle, you have medium porosity hair.